A few weeks ago, I blogged about my journey to achieving rosy fairness with Ms. Rosy here *click* and I'm back again to tell you how I came to go on this journey or pink roses and white truffles! Tha'ts Tammy, our Mamasan Butterfly, the person who makes all these projects happen! As you know, I'm part of the Butterfly Project community, and this has opened up many wonderful doors for me as a beauty blogger. Once again, thanks to the Butterfly Project, I was invited to a tea party hosted by Ms. Rosy herself, as she shared with us her secret to Rosy Fairness. It might surprise you to find out that Ms. Rosy is not any different from us at all. She loves social media, her friends, her gadgets, and everything related to rosy fairness! Now, which of us girls wouldn't like to achieve rosy fairness? It was an awesome time for us butterflies as we managed to interact with her closest buddies and got to try out the products she used on top of getting pampered and all prettied up on that day as well! So first off, what I did was make a beeline for the hair makeover station :p All this while, I've been pretty interested in getting a hair curler, and wondering if I should invest in one. So naturally, I headed for the hair makeover station and got myself a complete set of curls! I loved how it turned out, not too big but not too small ringlets as well. Just right to frame my face, and thank goodness my hair was long enough to have enough volume! 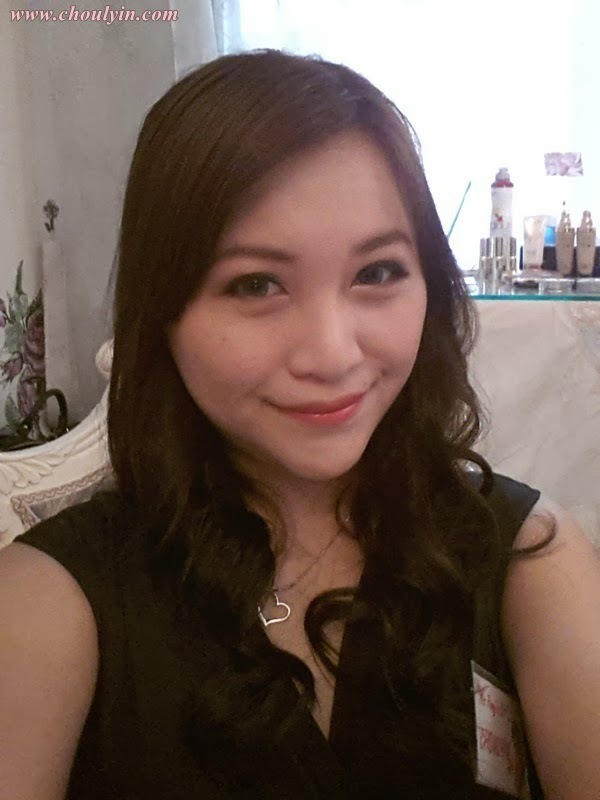 Next, I was given a total make over, they drew my eyes, eyebrows, cheeks, and lips! There were not a lot of products used, and I was amazed at how I could look like I had nothing on, and yet the colours come out so beautifully! It was a perfect neutral and earthy look for days when I can go out to work, and have this on as it's not over the top, with a dash of colour! Isn't it wonderful how you can create a whole look just by using L'Oreal products? And L'Oreal is a drugstore brand too, so you don't have to worry about it being too expensive! 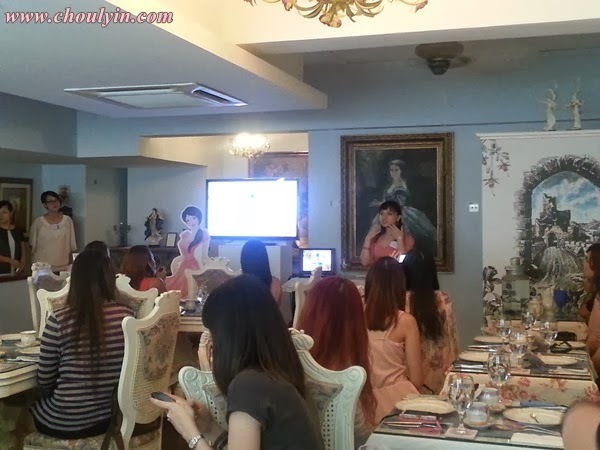 After that, the event started, and we were introduced to Ms. Rosy, the woman behind rosy fairness! We found out about her likes and dislikes, and ultimately, her secret to Rosy Fairness! Surprised? Don't be! L'Oreal's White Perfect range is the real secret behind her rosy fairness, and if you use all these products religiously, you will have rosy fair skin too in no time! DO you want to know the secret? well, the secret to radiant and smooth Rosy Fairness is the L'Oreal Paris White Perfect Double Essence, Day & Night cream, which will give you a fair and rosy glow by reducing dark spots, evening out your skin tone, and as a result, your skin becomes rosier and more radiant! So how does the L'Oreal White Perfect Range achieve all this? It all boils down to two main breakthrough ingredients, which is the Melanin Vanish which helps to inhibit melanin production. Did you know, 1 drop of Melanin Vanish is 50x more powerful than Melanin Block? The second ingredient, is of course Tourmaline Gemstone, which helps to reduce spots, and uneven skin tones. Therefore, your skin will look fairer and radiant in just one week! Remember how I told you that there was a nail makeover station as well? Well, these nail polishes are one of a kind, brought in all the way from Paris, just for us to try! Aren't the colours just gorgeous? I love how some of them have a pearl finish, while others with glossy finishes doesn't dry up too fast and ruin your nails! Can you guess which colour I got for my nails in the end? I got myself a dark reddish pink colour, and I quite like it. I feel that it completes my hands, and my skin tone is light enough to create a beautiful contrast and yet dark enough not to make the nails look too bright. After that, we headed downstairs, and there was a whole corner dedicated to arts and crafts! we were encouraged to create our own headbands or hair clips from the various materials provided, including roses, pearls, gemstones, and other arts and craft paraphernalia. All in all, it was a pretty special day for all of us as we finally found out Ms. Rosy's secret to rosy fairness, and boy was it awesome! As a token of all our appreciation, we were each given a goody bag to take home with us, consisting of full sized products of the L'Oreal White Perfect Range! 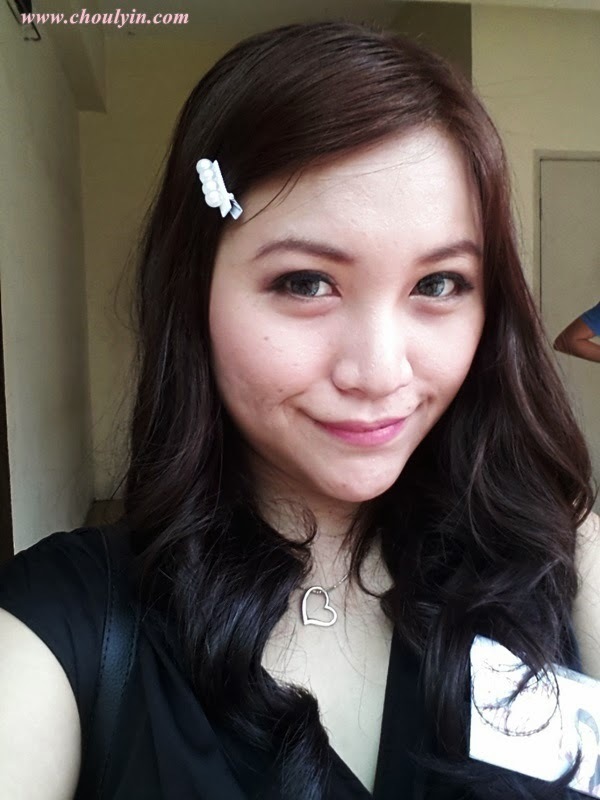 When used religiously, I promise you, you will definitely have rosy fair skin, like the beautiful Ms. Rosy! I'm so jealous - we're missing out on a lot of these fun beauty events where I'm at. The pictures are gorgeous though! Wow -- this sounds like such fun. I love the curls on you. They look great and I'm happy that you bought the hair curler! Cute! I think the curls suit you. If they were even bigger I think it would be more gorgeous! Looks like you had a great time!. You look gorgeous with that make up!. You look soooo pretty!! What contact lens you're using a? oh wow what a beautiful experience! I'd love to live with roses all around. You’re gorgeous! I like the curls and makeup. Looks like you al had a great time! Love how your makeup and hair came out.